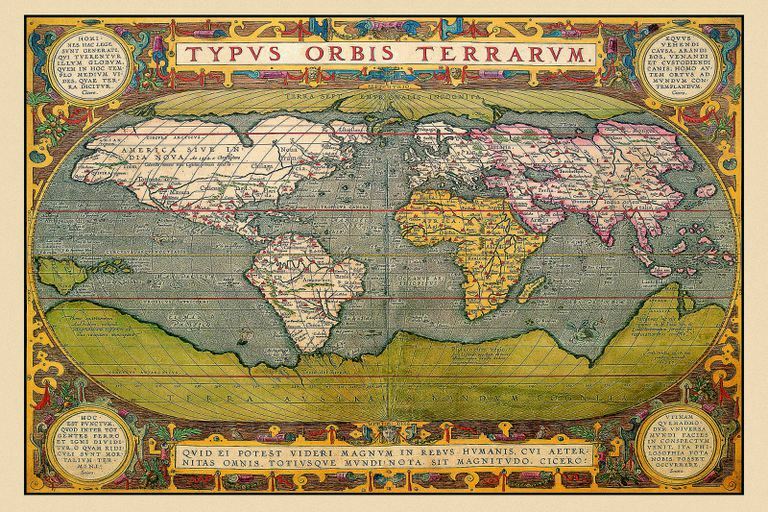 Simply defined, maps are pictures of the Earth's surface. General reference maps document landforms, national boundaries, bodies of water, the locations of cities and so on. Thematic maps, on the other hand, display specific data, such as the average rainfall distribution for an area or the distribution of a certain disease throughout a county. With the increased use of GIS, also known as Geographic Information Systems, thematic maps are growing in importance and becoming more readily available. Likewise, the digital revolution of the 21st century has seen a major shift from paper to electronic maps with the advent of mobile technology. The following is a list of the most common types of maps used by geographers, plus a description of what they are and an example of each kind. A political map does not show topographic features like mountains. It focuses solely on the state and national boundaries of a place. They also include the locations of cities large and small, depending on the detail of the map. A common type of political map would be one showing the 50 U.S. states and their borders along with the United States' international borders. A physical map is one that documents landscape features of a place. They generally show things like mountains, rivers, and lakes. Bodies of water are commonly shown in blue. Mountains and elevation changes are usually shown with different colors and shades to show relief. Normally on physical maps, green shows lower elevations while browns show high elevations. This map of Hawaii (scroll down to 3rd map after following the link) is a physical map. Low elevation coastal regions are shown in dark green, while the higher elevations transition from orange to dark brown. Rivers are shown in blue. A topographic map is similar to a physical map in that it shows different physical landscape features. Unlike physical maps, this type of map uses contour lines instead of colors to show changes in the landscape. Contour lines on topographic maps are normally spaced at regular intervals to show elevation changes (e.g. each line represents a 100-foot (30m) elevation change) and when lines are close together the terrain is steep. Scroll down from that previous map of Hawaii to the Hawaii Elevation map. It has contour lines that are close together near the steep, high elevation mountains of Mauna Loa and Kilauea. By contrast, the low elevation, flat coastal areas show contour lines that are spread apart. A climate map shows information about the climate of an area. They can show things like the specific climatic zones of an area based on the temperature, the amount of snow an area receives or the average number of cloudy days. These maps normally use colors to show different climatic areas. This climate map for Australia uses colors to show differences between the temperate area of Victoria and desert region in the center of the continent. An economic or resource map shows the specific types of economic activity or natural resources present in an area through the use of different symbols or colors depending on what is being shown on the map. An economic activity map for Brazil can use colors to show different agricultural products of given areas, letters for natural resources and symbols for different industries. A roadmap is one of the most widely used map types. 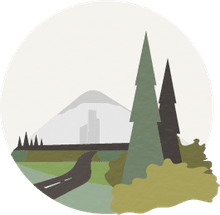 These maps show major and minor highways and roads (depending on detail), as well as things like airports, city locations and points of interest such as parks, campgrounds, and monuments. Major highways on a roadmap are generally shown in red and larger than other roads, while minor roads are a lighter color and a narrower line. A road map of California, for example, would depict Interstate highways with a wide red or yellow line, while state highways would be shown in a narrower line in the same color. Depending on the level of detail, the map may also show county roads, major city arteries, and rural routes. These are usually depicted in shades of gray or white. A thematic map is a map that focuses on a particular theme or special topic. They are different from the six aforementioned general reference maps because they do not just show natural features like rivers, cities, political subdivisions, elevation, and highways. If these items are on a thematic map, they are background information and are used as reference points to enhance the map's theme. This Canadian map, which shows changes in population between 2011 and 2016, is a good example of a thematic map. The city of Vancouver is broken down into regions based on the Canadian Census. Changes in population are represented by a range of colors ranging from green (growth) to red (loss) and based on percentage.